100% 1:1 Digital DVD Transfer - A/V Quality 10/10 - Best Available Transfers for these films! -----> Upgrade to Special Edition to Add Mr. and Mrs. Loving 1996 Lela Rochon * on DVD R ! ! 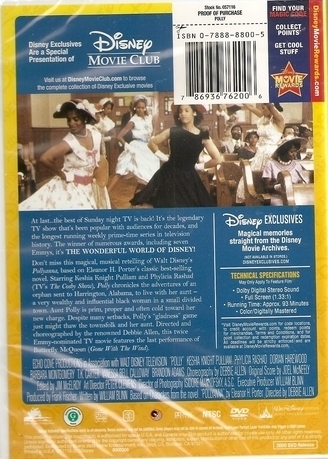 Wonderful World of Disney TV Movie - A revised African American version of Disney's Pollyanna. Keshia Knight Pulliam plays the adorable Polly, A young girl who is full of music and love for the world. 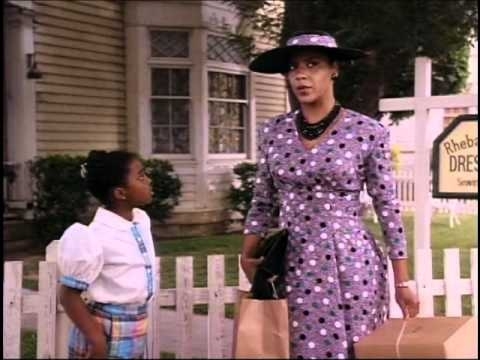 Phylicia Rashad plays Polly's adopted mother and gives a great performance. Dorian Harewood a veteran black actor with many film credits to his name contributes with a solid effort as well. Directed very steadily and with great style by by Debbie Allen. This TV Movie is set in the 50s where an orphan uses happiness to bring together people she touches from a small southern town. A fantastic pair of movies you will treasure and enjoy watching many times over. In this fantastic sequel to Polly, the Broadway themed songs and dances are put to good use to tell this fascinating interesting story of an ingenious orphan who gets involved in matchmaking and striving for inter-racial understanding in 1956 Alabama. Both films made for a wonderful time filled with drama, song and dance. 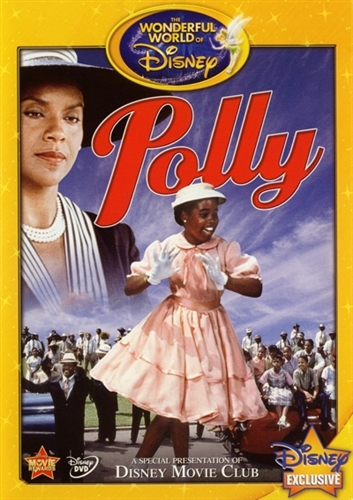 Both Polly films are full of music, drama and spirit. Polly DVD and Polly Comin Home DVD are wonderful family friendly musicals and stories. 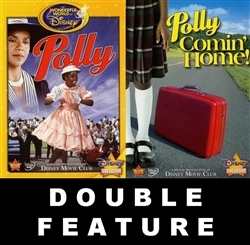 Both Polly DVD the movie and Polly Comin Home DVD are terrific films that you’ll want to add to your musical collection! Polly DVD and Polly Comin Home DVD are wonderful family movies depicting fascinating stories of an African American period gone by.